A look into some of South Florida’s biggest commercial deals over the past 12 months shows a majority of the high-dollar deals were struck for multifamily and retail properties. With South Florida’s excess of unsold condos and an increasingly expensive single-family home market, investors are focusing on multifamily properties. And despite the overwhelming number of store closures across the country, South Florida continues to be an exception for retail investment — the $283 million sale of 1111 Lincoln in Miami Beach is a prime example. Some big-ticket purchases came from buyers like Regency Centers, Greystar and InvenTrust. Projects handled by prominent developers like Armando Codina and the Related Group made the list of top deals, as did a gleaming high-rise office building in Brickell. Here, The Real Deal breaks down the top 10 sales in the tri-county region, which were priced from $135 million to more than $1.3 billion. Coming in AT tenth place is TA Realty’s $135 million purchase of the Manor at CityPlace. The Related Group, Shoma Group and PGIM Real Estate Investors sold the 394-unit luxury apartment complex in August for an amount that breaks down to nearly $343,000 per apartment. The sale translated to a major foothold in Related’s and its partners’ CityPlace Doral, a massive $800 million mixed-use development designed by Arquitectonica’s Bernardo Fort-Brescia. The entire project spans about 55 acres. The Manor at CityPlace sits on nearly 6 acres. The six-story building was fully leased at the time of the sale. AvalonBay Communities made a splash with its first Florida investments, dropping $138 million for a new Boca Raton apartment complex from developers Armando Codina, Jim Carr and New York-based Praedium Group. 850 Boca is a 370-unit development within the Park at Broken Sound. The deal breaks down to about $373,000 per apartment. It hit the market with Cushman & Wakefield only two months before it sold for a whisper price of between $125 million and $145 million. Kendall, a sprawling suburban neighborhood relatively far from the action in downtown Miami, has been luring in investor cash. And this time, an entity of Blackstone Group’s real estate investment trust was the one writing the check. In December, the entity paid about $139 million for a recently completed apartment complex in West Kendall developed by Armando Codina’s CC Residential firm. Signature at Kendall sold in two separate parcels. Blackstone’s REIT paid $96.95 million for the first phase, which includes a 396-unit apartment complex at 8881 Southwest 172nd Avenue, and $42 million for a neighboring 8-acre parcel that adds 150 apartments. Rockpoint Group went on a spending spree this PAST year in South Florida, and its purchase of 1221 Brickell in Miami’s financial district was the priciest office buy of the year. In April, the Boston-based private equity firm paid $155 million for the 27-story office tower. The price tag for the 408,000-square-foot, Class A building broke down to $380 per square foot. The seller, Blackstone Group’s Equity Office, shopped the property with brokerage firm HFF. Chicago-based LaSalle Investment Management said it was a joint venture partner with Equity One on the sale. Harbor Group International’s acquisition of the 700–unit Montage at City Center in Pembroke Pines takes the cake as the biggest multifamily deal in the last year in South Florida. It wasn’t much of a windfall for seller AVR Realty Company, which had paid nearly the same amount for the project in 2014 ($95.55 million for phase one) and 2015 ($62.94 million for phase two). The rental complex consists of 12 mid-rise buildings and 28 townhomes, with a mix of one-, two- and three-bedroom units. Amenities include a LEED Gold-certified clubhouse, two pools, a fitness center, business center and game room. The deal broke down to about $226,000 per apartment and also included the assumption of a $100 million loan. Shopping centers saw some of the priciest deals over the past 12 months, despite brick-and-mortar retail largely suffering across the country thanks to e-commerce. A whopping $163 million was spent last February by Oak Brook, Illinois-based InvenTrust Properties Corporation on two shopping centers in Pembroke Pines. InvenTrust bought Paraiso Parc, at 15701 and 15703 Pines Boulevard, for $64 million and Westfork Plaza, at 15805-15999 Pines Boulevard, for $98.94 million. New York-based investment manager DRA Advisors sold the properties, which included about 389,000 square feet of planned expansion space. Publix, Costco, Regal Cinemas, Ross and TJ Maxx were among the anchor tenants. In June, while looking to squeeze value out of a retail portfolio consisting of 52 shopping centers, a joint venture of DDR Corporation and Madison International Realty recapitalized the properties for a total of $1.05 billion. At the time of the recapitalization, DDR announced that Madison International Real Estate Liquidity Fund VI acquired an 80 percent stake in the properties, nine of which were in South Florida. The total cost for the South Florida portfolio amounted to about $208 million, according to RCA data. 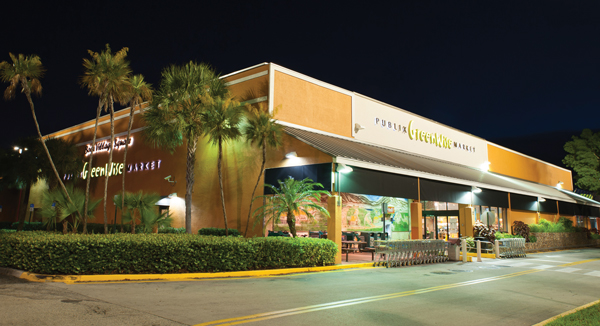 The recapitalized portfolio consisted of shopping centers in Florida and elsewhere in the Southeastern U.S. The properties were previously owned by DDR and various partners through the DDR Domestic Retail Fund I. DDR reportedly kept a 20 percent ownership stake. Madison provides joint venture and equity capital for real estate owners and investors seeking to create an exit strategy. German institutional investor Bayerische Versorgungskammer (BVK) made a name for itself in Miami’s real estate market scene with its $283 million purchase of Robert Wennett’s 1111 Lincoln in July. BVK, one of the largest institutional investors in Germany, owns retail and office properties worth at least $1.6 billion in cities like New York, Chicago and Los Angeles. CBRE Global Investors and German investment firm Universal-Investment purchased the property on behalf of BVK and financed the deal with a $66.9 million mortgage from HSBC. The mixed-use parking garage, known for its Herzog & de Meuron design, is at the northwest entrance of the Lincoln Road Mall and includes 94,488 square feet of office space, 51,839 square feet of retail space and a 300-space garage. When Greystar Real Estate Partners acquired luxury apartment developer Monogram Residential Trust in September, it took ownership of about $541.8 million of its multifamily real estate assets in South Florida. Charleston, South Carolina-based Greystar completed its acquisition of Plano, Texas-based Monogram in a $4.4 billion deal that included debt assumed or refinanced. The acquisition was led by funds managed by Greystar Real Estate Partners and its capital partners, affiliates of APG Asset Management, GIC and Ivanhoé Cambridge. In one of the U.S. real estate industry’s largest corporate buyouts last year, Jacksonville-based Regency Centers snapped up $1.3 billion in retail space — and one office building — in South Florida as part of its $5 billion acquisition of North Miami Beach-based Equity One. About 5.1 million square feet in 39 properties were involved in the deal.